This is the first in a series of posts about exhibits in the Chasewater Railway Museum – all photographs used in this series will be of items belonging to the Chasewater Railway Museum. 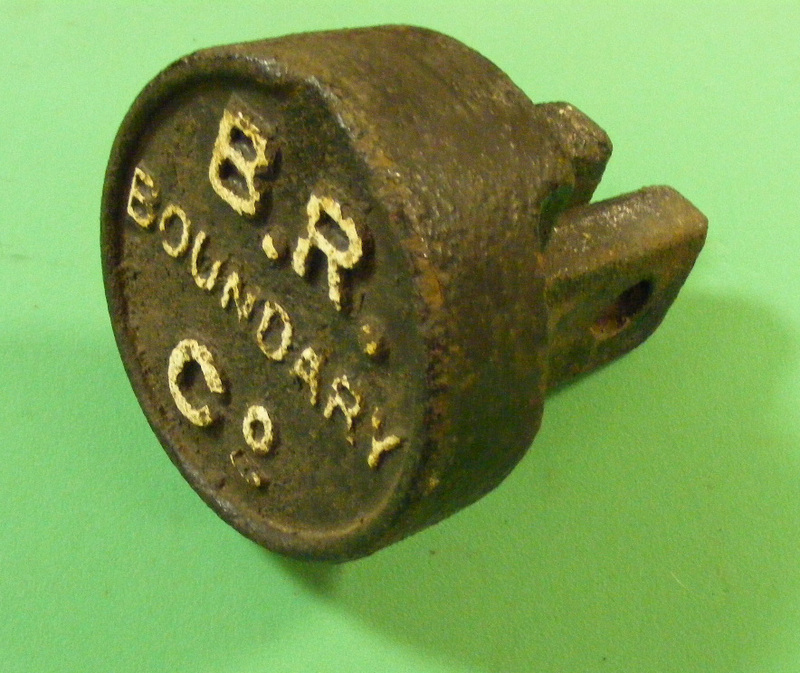 This entry was posted in Museum Exhibits and tagged Barry Railway Co, Boundary Markers, Chasewater Railway Museum, Lancashire & Yorkshire Railway, Monmouthshire Railway & Canal Co., Museum Exhibits, Old Railway Lines. Bookmark the permalink.